Home Make Money online Is Social Cash Club – Scam or Legit Opportunity? 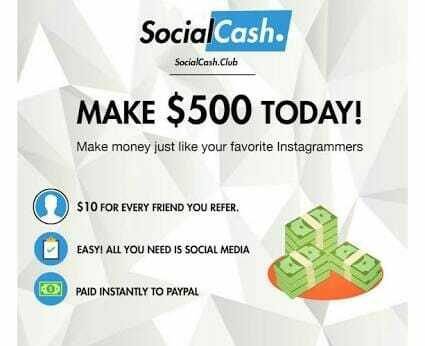 I’m sure most of us are still confused whether SocialCash.Club is a legit opportunity to make money online or if it is a scam. Well, am glad you are at the right zone, because I will unveil to you the everything that you need yo know about this site and you will make the decision on your own. 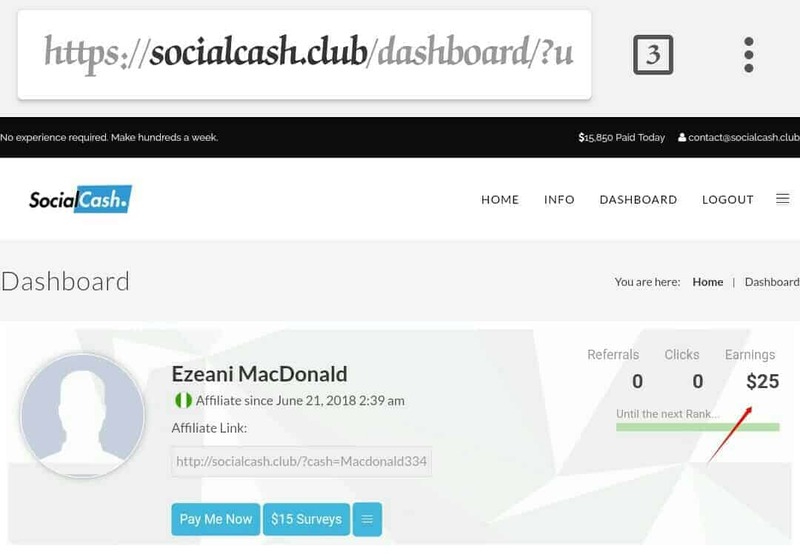 Social Cash Club is a site that claims they will pay you without you doing any work for them all you need is to share your referral link and get paid $10 per sign up. On their homepage, they made it open that you can make up to $500 today and also get a $25 sign up bonus. With this am sure your are convinced which will push you to work hard in referring people. Who doesn’t want to make easy money without stressing himself? Of course, everyone does. But the biggest issue here is to know whether the site is actually legit or scam. From my experience so far in Making Money Online, I can say that this isn’t the first time I have come across such a site. Yes, there are many similar sites like this that claimed to pay lucrative money without putting in much efforts at all. What you need to grab here is that anything easy money doesn’t exist. Nobody in the right mind would pay you $10 just for referring a friend. Basically, most of these lucrative payouts for referring someone is simply FAKE. The money that you see in Social Cash Club isn’t even real. It simply exists only within the site itself but has no value outside it. In conclusion, the website Social Cash Club exists for only one purpose and that is so that the owner of the site can earn money, not any of the members. All your earnings on the website are virtual and can not be cashed out. My review on Social Cash Club. I’m sure many of you are wondering whether SocialCash.Club is a legit opportunity to earn money online or if it is a scam.